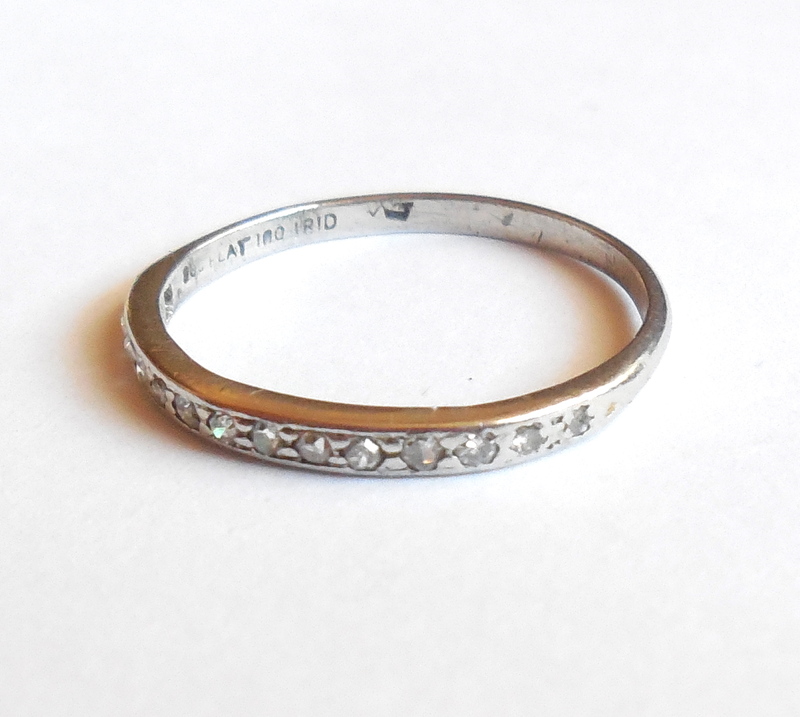 Antique 1920s Platinum Diamond Ring Band Graduated Size 8 – Original antique wedding ring band, stacker or stacking ring band in solid platinum with all of its original natural diamonds. 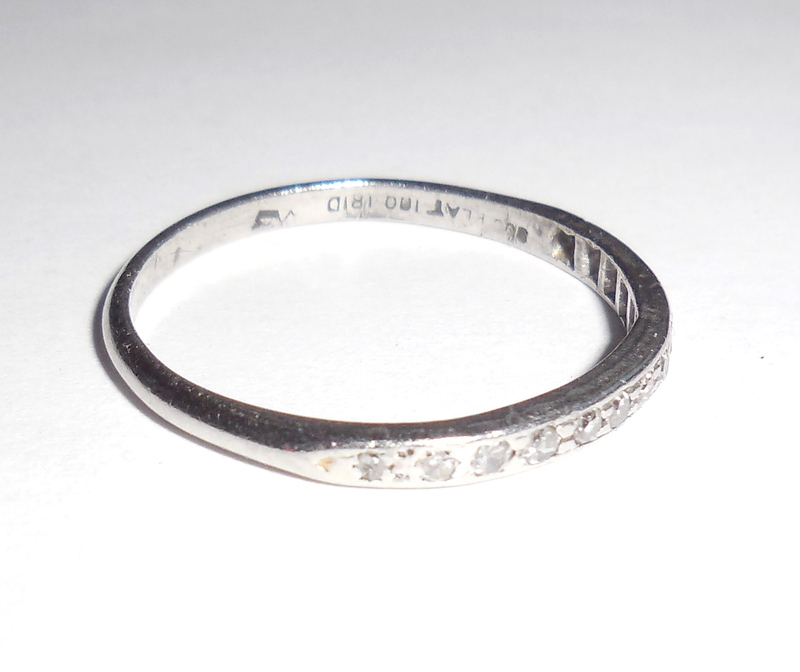 It has early 10% IRID PLATINUM marking as well as antique maker hallmark which you can see in the photos. The diamonds are graduated with smaller stones at the ends. Total carat gemstone weight is approximately .25 carat. Weight is 2.3 grams. Width across is 1/16 inch. All of the diamonds are deep bezel set the old way directly into the platinum. No prongs at all. These are small 1-2 point stones yet very sparkly/glittery stones as you would expect with these earlier cuts from the 1920s. One stone has a chip which is not eye visible at all; only found with a loupe. Other than this, overall condition is excellent having no damage or repair. No alteration or modification of any kind. Completely original. No dents or dings. No tears or deep scratches. Not freshly cleaned or polished out. This is a lovely ring to wear as a wedding band or as a stacker with other gemstone bands. It is so hard to find these early bezel set diamond bands with beautiful all natural stones in this larger ring size today. Lovely addition for your antique jewelry collection! 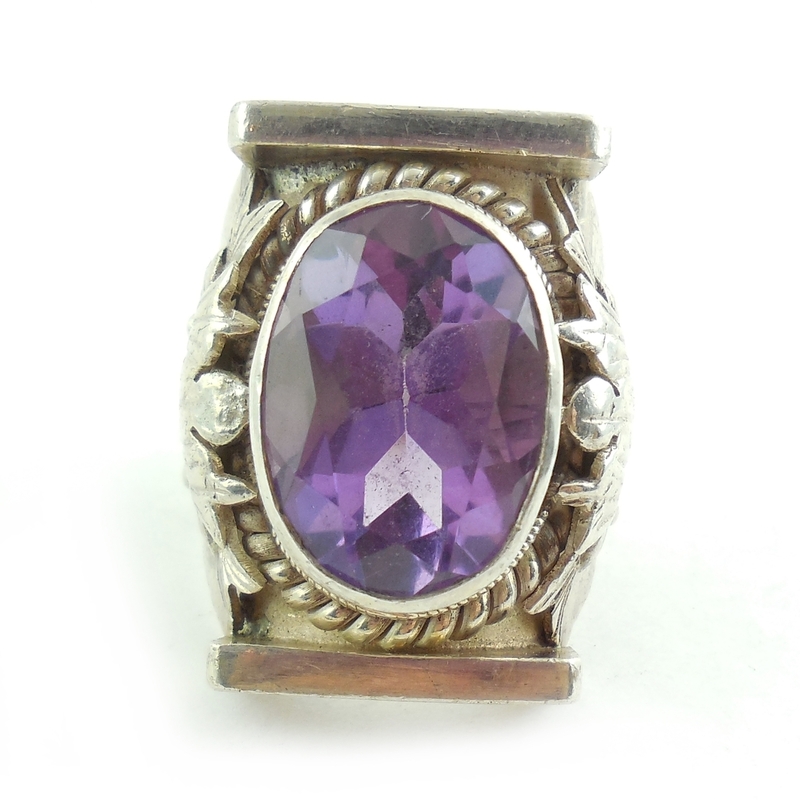 This is a large vintage hand made sterling silver ring with a 17mm amethyst in the center. 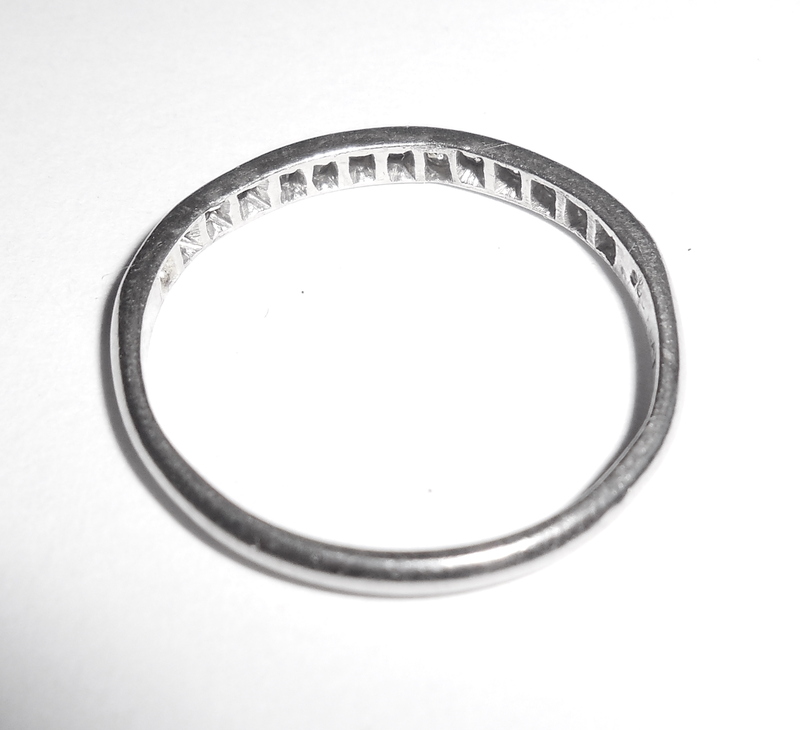 Hand made, unmarked, tested and guaranteed to be solid sterling silver. Ring size is 9. It has minor surface age, use wear. No tears or deep scratches or repair. Excellent condition. 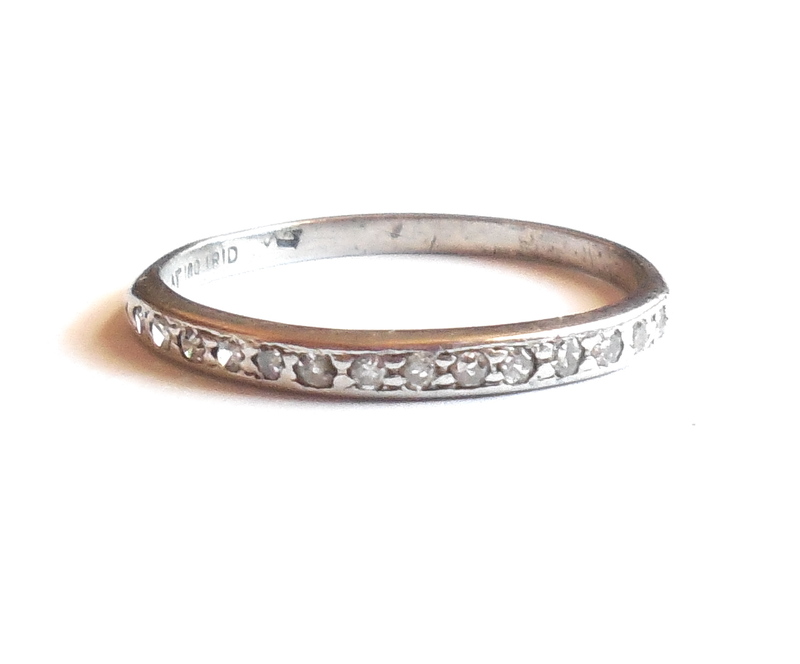 Very well made with thick sterling silver and quality hand workmanship. The amethyst is deep purple, faceted and very showy. The top measures over 1" North to South by 3/4" wide across. Weight is HEAVY at 24.8 grams. 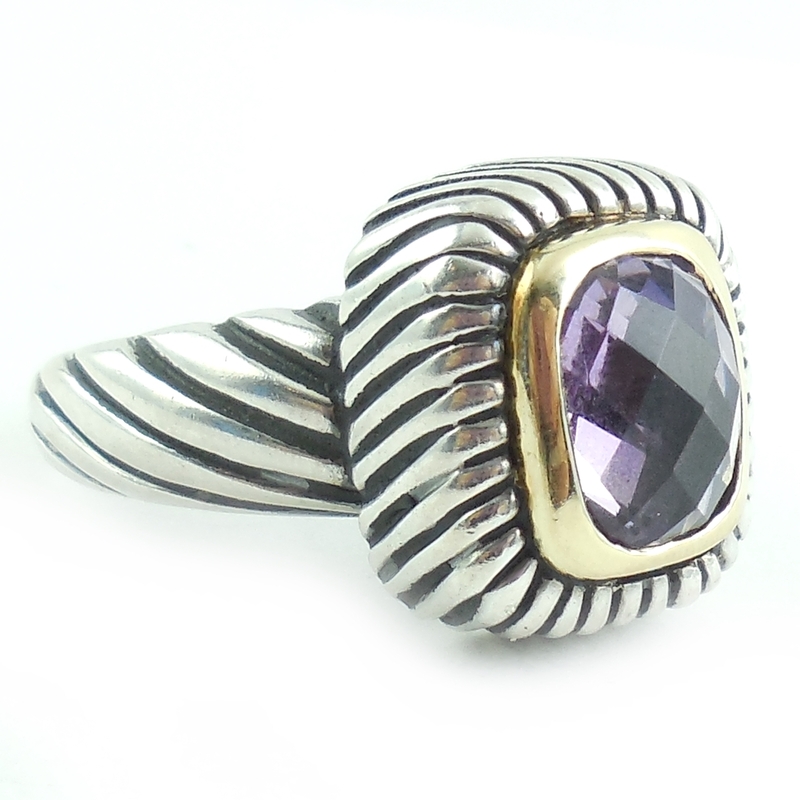 This is a stunning ring for your hand made and artistan gemstone jewelry collection. It's unusual and very showy. Height is 5/8" tall. 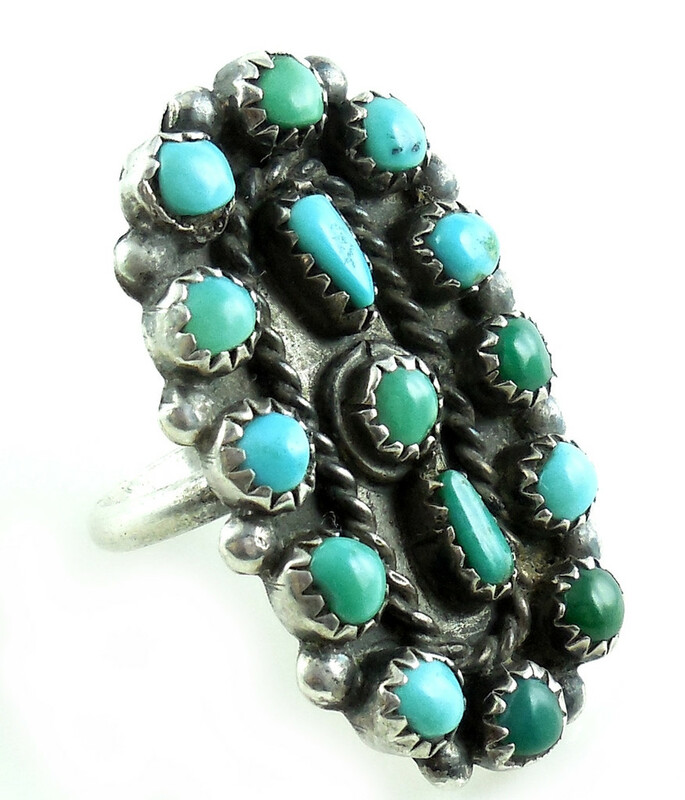 This is a lovely vintage handmade Native American Zuni Petit Point Turquoise Long Ring with all different turquoise stones. 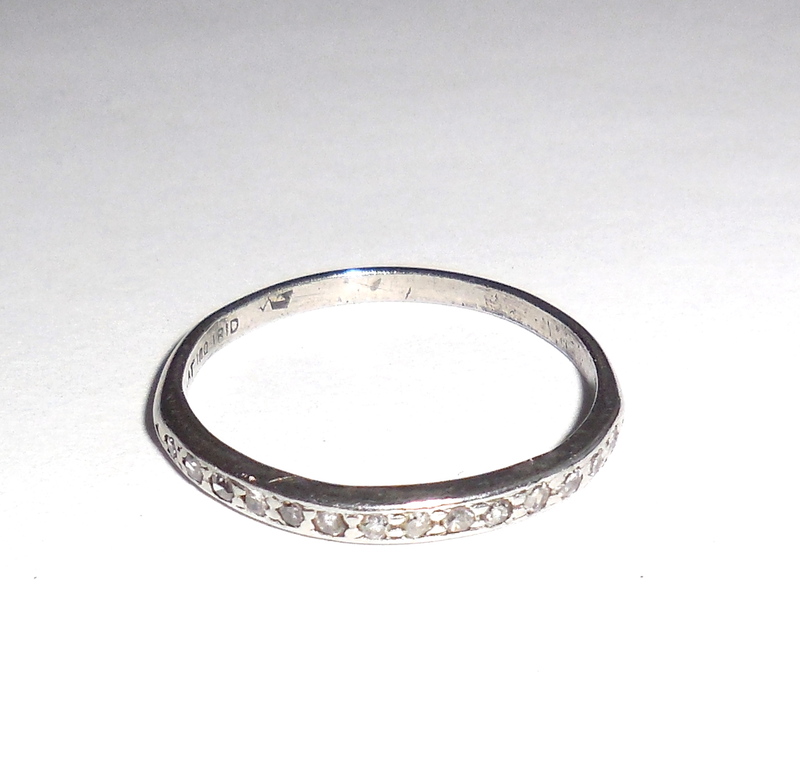 It is jeweler tested and Guaranteed solid sterling silver. The stones are a mix of robin’s egg, green, sleeping beauty and others. All stones are natural, mined, old, and original. Some have deep turquoise color, others are brighter and some are green. The top is in excellent condition. 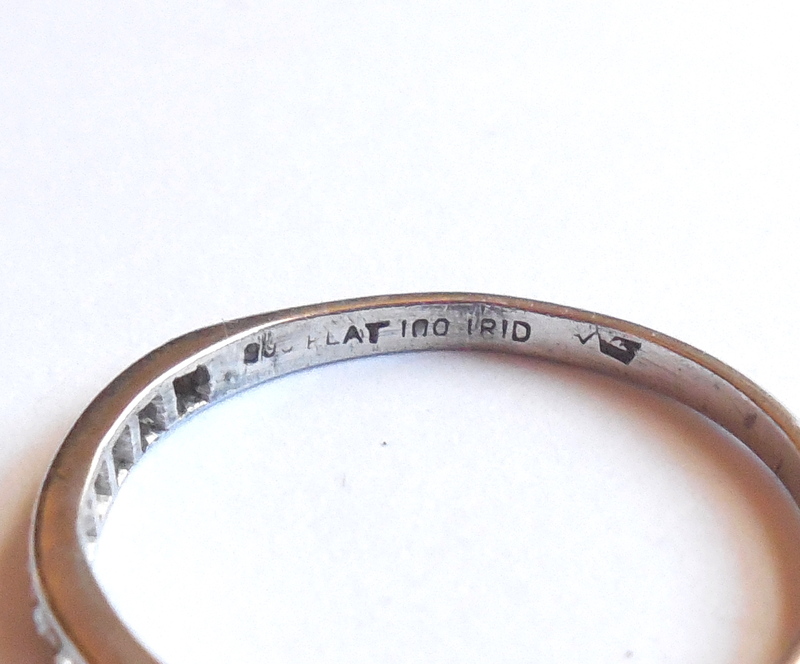 The inside of the band has scratches and wear marks. 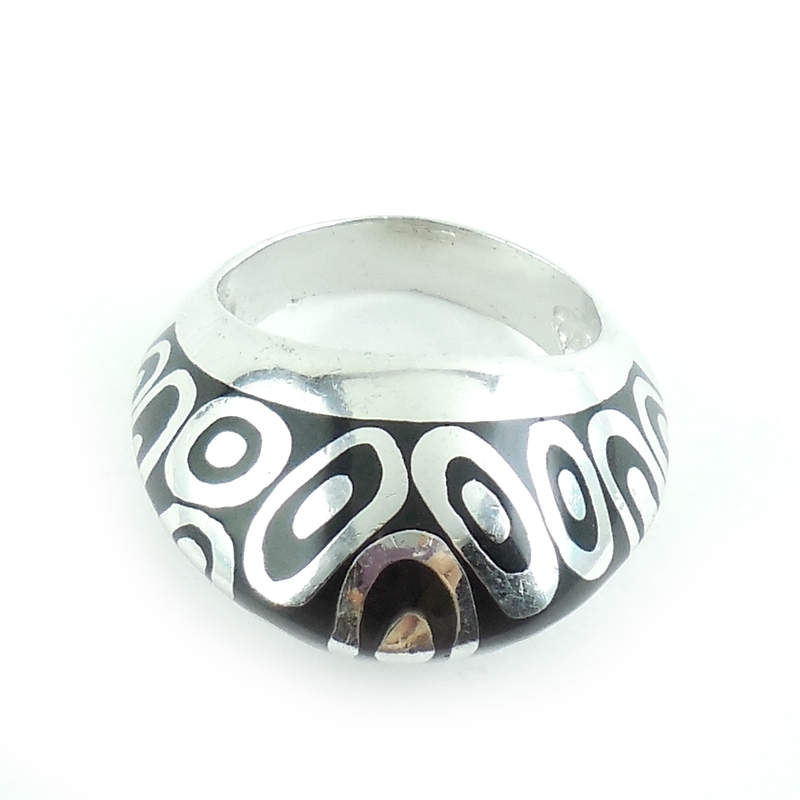 Ring size 7 3/4. The top is a whopping 1 7/16" long north to south by 7/8″ wide east to west. Weight is 8 grams. This is a very large, showy, hand crafted Native American, statement ring for your vintage mid century jewelry collection. Beautiful petit point mix of turquoise stones on this ring.